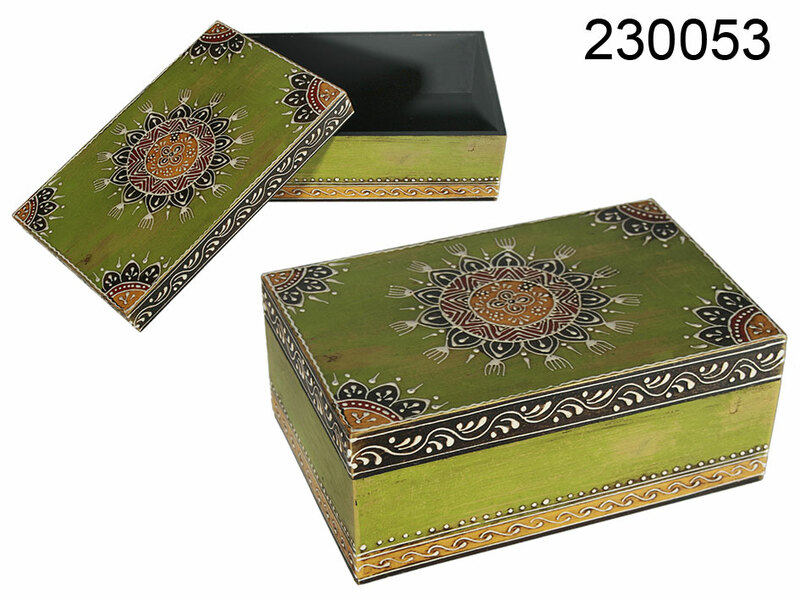 Wooden chest decorated with beautiful oriental style decor. The box does not have any inside compartments. The lid is completely removable. Wonderful item to organize jewellery and other small objects. Perfect for every woman. Handy and decorative. Lovely stylish gift idea.